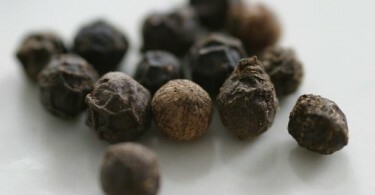 Piperine is a naturally occurring compound of black pepper [Piper nigrum Linn] and long pepper [Piper longum Linn]. Piperine, an alkaloid [1-peperoyl piperidine], has the potential to enhance the serum levels nutrients in animals and humans. It has been shown that piperine can dramatically increase absorption of some nutrients. Piperine favorably stimulates the digestive enzymes of pancreas which enhances the digestive capacity and significantly reduces the gastrointestinal food transit time. Piperine can also attenuate free radicals and reactive oxygen species and has been shown to protect against oxidative damage in vitro.